The three directions guide rail pairs of the machine all have wear-resisting measures with high accuracy stability and long service life. Our factories are keeping develop and produce innovative high-tech machine tools for the metal-working industries every year. 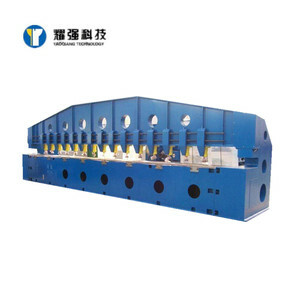 All machines are inspected We wish to cooperate sincerely with friends all over the world to realize mutual development. 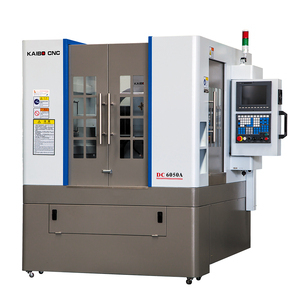 P2202 made in China , but same quality with Japanese made milling machine, popular both at home and abroad, features as below: 1. Cast iron construction 2. Cross feed for drilling, fine for milling 3. Column tilts up to 45&deg; for angled machining 4. Two electronically variable control spindle speed ranges 5. 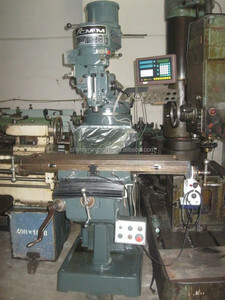 Two function machine - vertical mill or small pillar drill 6. 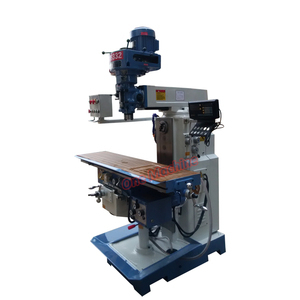 Supplied with 10mm chuck, drawbar and service tools Technical Data Model SP2202 Drilling Capacity 10 mm End Milling Capacity 10 mm Face Milling Capacity 16 mm Longitudinal Axis Travel (X) 180 mm Cross Axis Travel (Y) 130 mm Headstock Axis Travel (Z) 230 mm Effective Table Size 240 x 145 mm Throat Depth 140 mm Spindle Taper MT2 Spindle Speed Range 100 - 2,000 rpm Distance Between Spindle to Table 220 mm T-slot Amount 3 T-slot Size 8 mm Head Tilt Angle (Left / Right) 45&deg; / 45&deg; Motor Power 150 W Voltage and Frequency Customrized Overall Dimension (LxWxH) 400 x 320 x 600 mm Net Weight 40 kg Packing Size (LxWxH) 480 x 400 x 630 mm Gross Weight 56 kg Accessories Standard Accessories Optional Accessories Drill Chuck Automatic Worktable Feeder Wrench Set Spindle Speed Digital Readout Toolbox and maintain tools Cutting Depth Digital Readout Oil Tray Clamping Kit Manual Instruction & Parts List Mill Chuck Milling Set Tapping Set Boring Set Swivel Worktable Vice Stand Work Light Packaging & Shipping Package 1 set/polywood case (aluminum strips strengthen) Full Container Loading Quantity (FCL) 180 sets/20&rsquo;GP (unitary; customerized packing available) Delivery Time 25 calendar days after receiving of advance / full payment Illustrative Image Only Related Products Mini lathe mill drill combo multi-purpose machine SP2301 Certificates Shanghai Sumore Industrial Co., Ltd. (Sumore Machinery) was established back into year 2001. 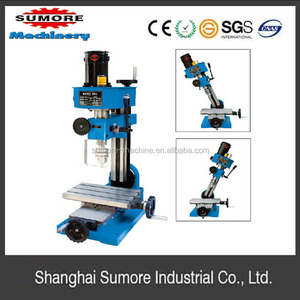 The core business of Sumore Machinery was focused on full machinery business chain, which involves research and development, fabrication and production, foreign trading and domestic sales on a wild range of products, such as power tools, woodworking equipments, metal-processing machines and all related accessories. Nantong Sunway Science and Technology Development Co., Ltd.
Free maintenance within 1 year for whole machine except of cnc system which guarantee is 3 years c. 3. Low Price We make sure that for same price, our quality is much more excellent. Contact information If you are interested in our machine, welcome to contact us at any time and welcome to visit our factory. Shandong Alles Energy Technology Co., Ltd.
2.A used mini metal cnc milling machine is a vertical mill, meaning the spindle the area that performs is positioned vertically. 3.The turret milling machine is considered a versatile unit,because it can create a wide array of shapes. 6.All turret milling machine units have a vertical spindle that remains stationary during the entire cutting process. Siper precision mani shaft insures accurate and steady processing. 4.Free training course at our factory with professional engineers. We can send you free components to you if your machines are in guarantee time. b.
, Ltd Nantong Brillante Industrial Enterprise Co. , Ltd Edward Pearson Machinery (Shanghai) Co. , Ltd NANTONG LIANZHONG MACHINE CO.
Rotation of cutter is the meain movement of milling machine ,while the workpiece and milling cutter doing feeding movement . Luyoung is going further and further on pursuing high quality and customer satisfaction. 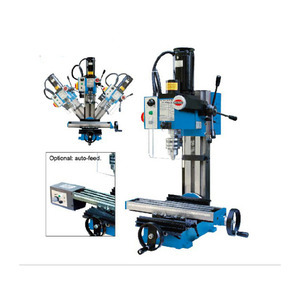 Luyoung have engaged in the line of manufacturing and trading CNC machines for more than 20 years . 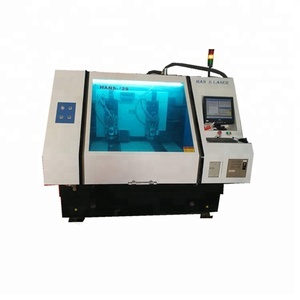 in order to ensure the reliability of machine tool, and can be changed according to the demand of users. 1.One year warranty time, we can repair and replace parts for free in one year. We can send you free components to you if your machines are in guarantee time. 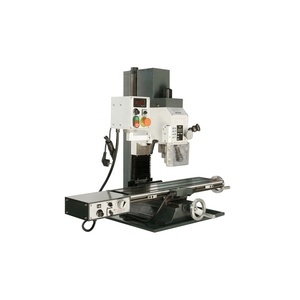 b.
Alibaba.com offers 13,953 used milling machine products. About 7% of these are flour mill, 2% are machine centre, and 1% are boring machines. A wide variety of used milling machine options are available to you, such as free samples, paid samples. There are 13,660 used milling machine suppliers, mainly located in Asia. The top supplying countries are China (Mainland), India, and Germany, which supply 97%, 1%, and 1% of used milling machine respectively. 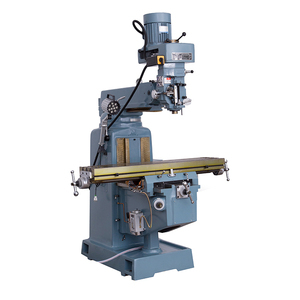 Used milling machine products are most popular in North America, Domestic Market, and Africa. You can ensure product safety by selecting from certified suppliers, including 4,728 with ISO9001, 1,126 with Other, and 370 with ISO14001 certification.